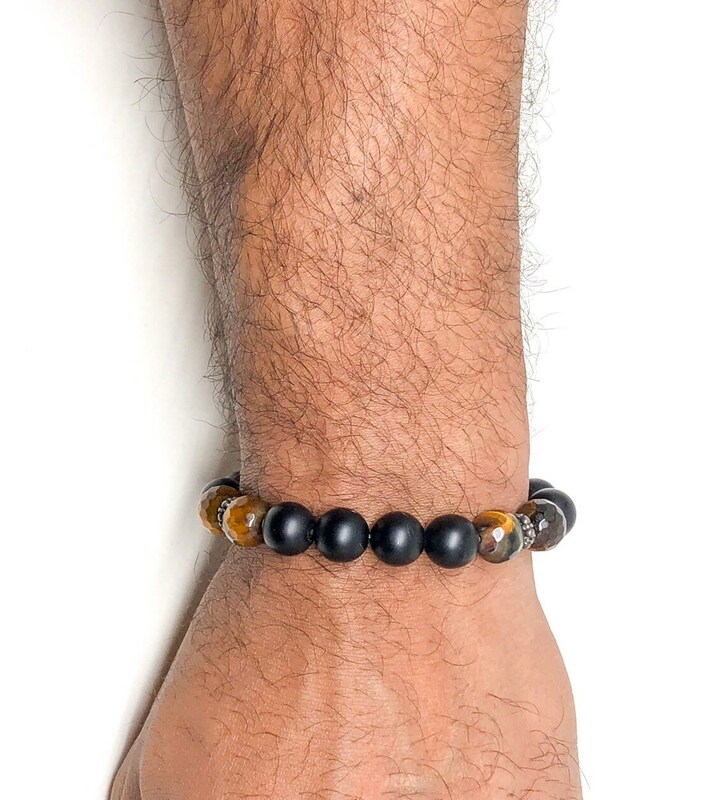 Men's beaded bracelet made Matte Onyx, Tiger Eye Faceted and 925 Silver spcers. One of a kind piece. 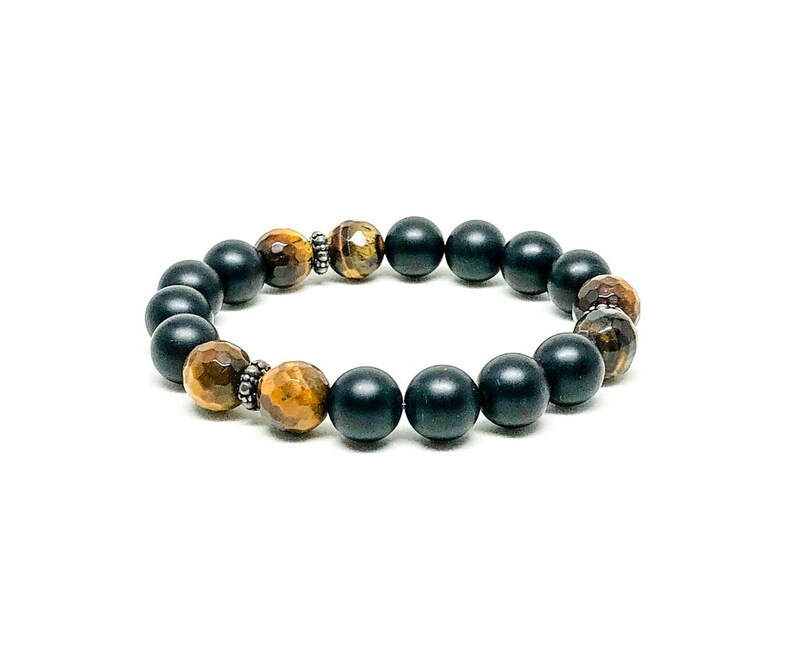 This bracelet is made with 10mm Matte Onyx, 10mm Tiger Eye (Faceted) and 925 Silver 8mm spacers. 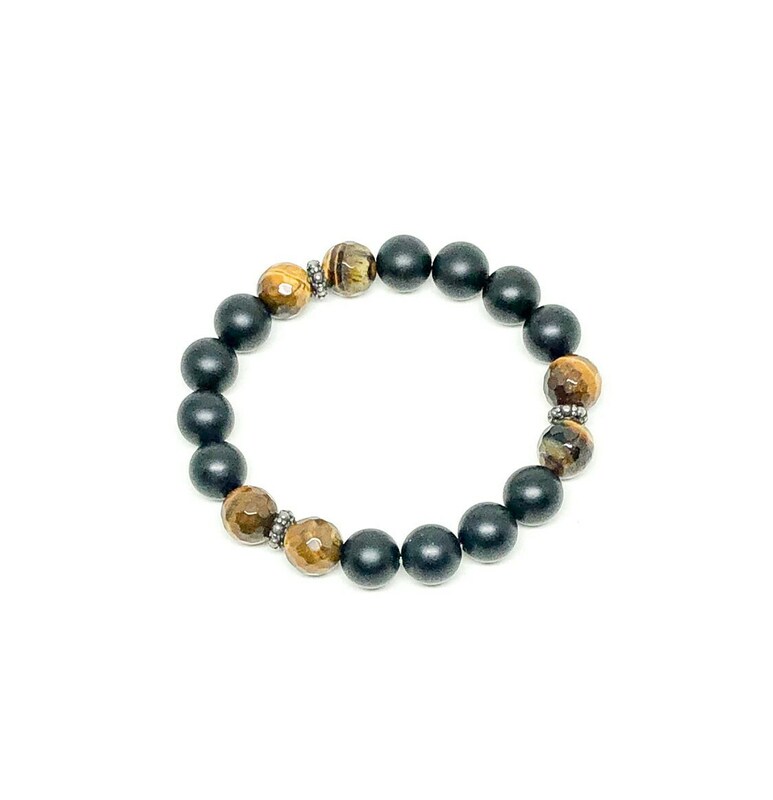 Can be worn by itself or with some other matching bracelets or watch. 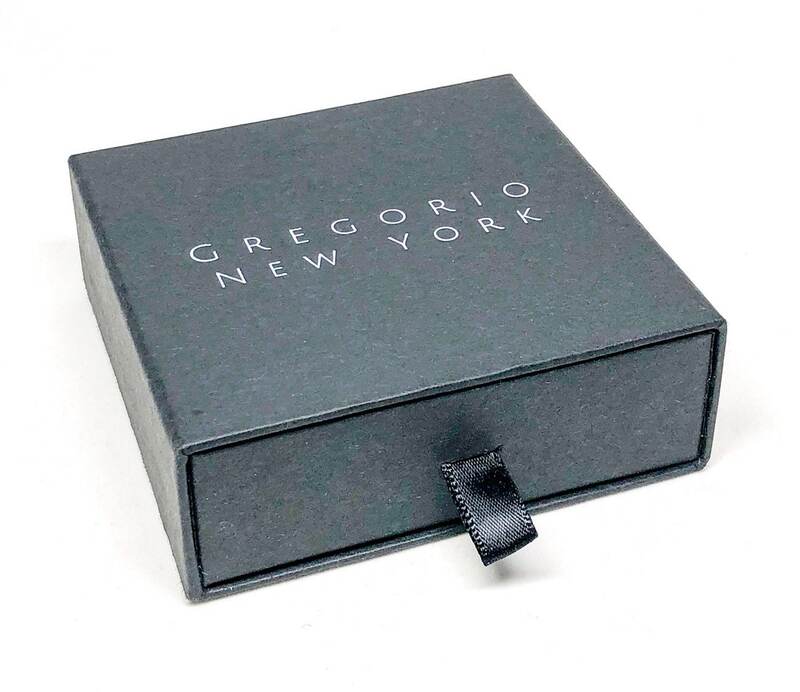 This beautiful bracelet comes in a customized Jewelry Box with our logo.